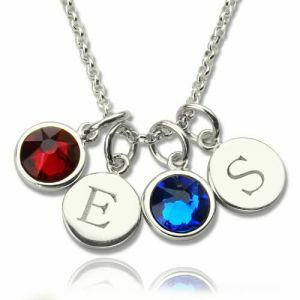 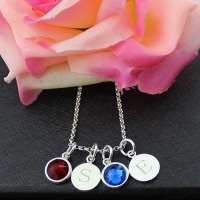 Personalized Double Initial Charm Necklace with Birthstone - Personalized Sterling Silver Birthstone Initial Charm. 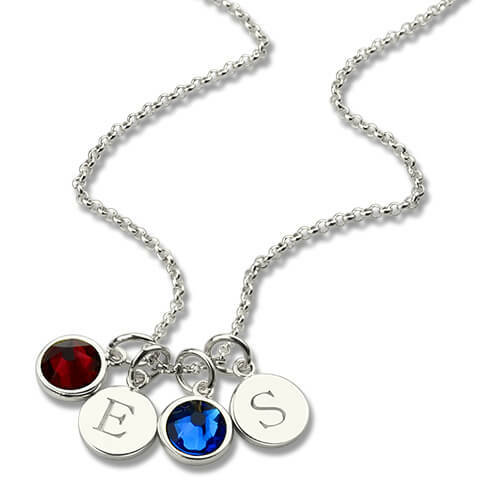 A mother's love for her children is endless. 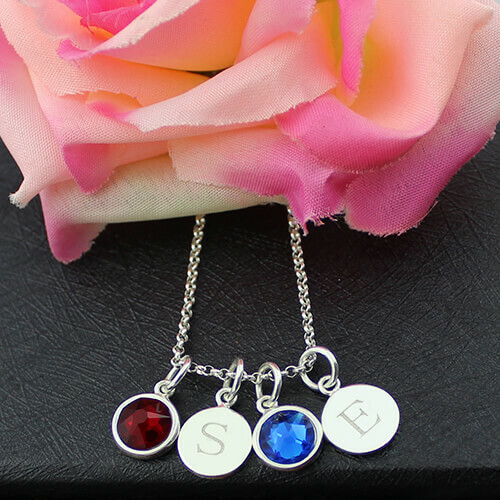 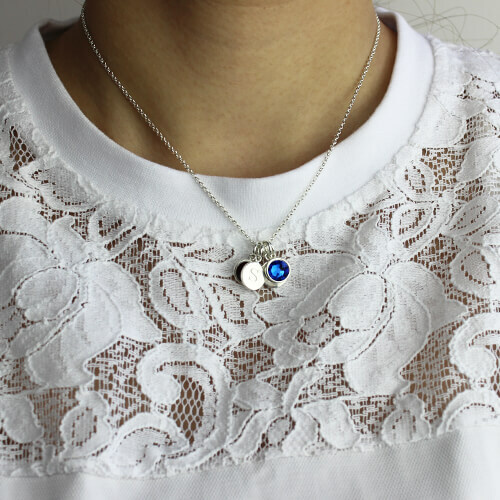 Symbolic of this perpetual care and support, surprise mom or grandma with a personalized Disc family pendant. Forming an instant heirloom, up to 3 family members may be represented with simulated birthstones and an inscription of their names, Spelling out your or a loved one's initial—is subtle but makes great impact, perfect for becoming a signature piece.